Anyone who’s learning to drive should be aware that there are huge changes coming regarding the manner in which they are taught. This is because until now anyone who doesn’t hold a full driving licence has not been able to drive on the motorway. However, this is all set to change in what’s being described as one of the biggest driving training shake-ups in 60 years. Here’s everything you need to know if you’ve set your sights on passing your test. You will soon be able to drive on any motorway in England, Scotland and Wales when you’re learning to drive. This will mean that you can now hit speeds of 70mph when you’re behind the wheel of a car. 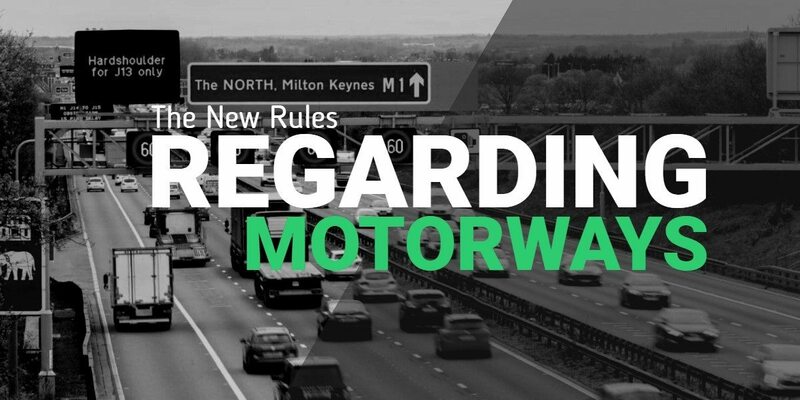 You will only be eligible to drive on the motorway when accompanied by your driving instructor and when using a dual controlled car. When do the changes come in? The new rule will officially come into force on Monday 4 June. The change in the law was announced earlier this year after an initial consultation on the subject began back in December 2016. The new guidelines are the result of shocking statistics that showed young drivers – especially those who had only just passed their test – are most at risk of being in a car accident. Will motorways be part of the driving test? No, you will not be asked to drive on a motorway during your driving test. The practical driving test was overhauled in December 2017 to include a satnav element and an extended period of independent driving. There was, however, nothing added about motorways. Your driving instructor will brief you prior to directing you on to a motorway during your lessons. Ahead of this, you should find that the experience will run a lot smoother if you first familiarise yourself with the rules of the motorway by reading your highway code. Don’t forget that you’ll be in safe hands on the motorway if you take your lessons with Wimbledon Driving School. Your instructor will create an atmosphere where you feel confident behind the wheel at all times as you strive to achieve your driving licence.